These are the heartbreaking last words of a Bendigo boy in a final letter to his mum before the young soldier was killed in action on the Western Front in WWI. Private Leslie Robins’ poignant words formed the inspiration for his great-great-nephew Andrew Harrison to compose an extraordinary contemporary classical work, If Not In This World, to be premiered at two major concerts of the same name. If Not In This World, along with another new work by Bendigo-based composer Rohan Phillips, Meditations on der Krieg, will be performed by the acclaimed Arcko Symphonic Ensemble in two powerful and emotionally-charged concerts in Bendigo on Saturday 10 November and the following day in Melbourne on Sunday 11 November, the 100th anniversary of Armistice Day. 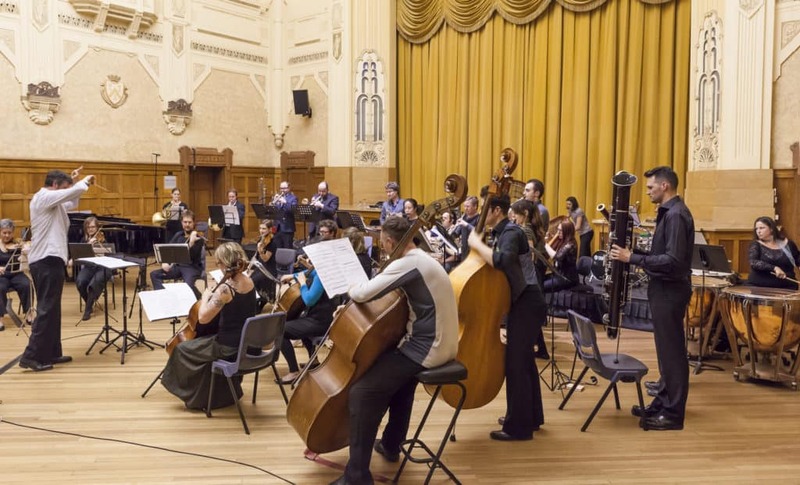 Arcko, featuring 21 virtuoso Melbourne musicians for these concerts, has forged a reputation for delivering original, memorable and creative concerts that acknowledge significant events in world history with new Australian music. As well as the two new works, the concerts will feature two dramatic solo piano pieces and readings of poetry, using words and images of Australians who saw action during, or were directly affected by, WWI. While there is a strong Bendigo connection to these works, with the local performances enabling those connected to Private Robins and Rohan Phillips the opportunity to engage with this singularly important event, the stories and themes are deeply relatable to thousands of people the world over. The concerts promise to form a heart-wrenching—but also uplifting—element of this year’s Armistice Day commemorations, honouring the bravery and sacrifice both of our fallen soldiers and their families. This project has been assisted by the Australian Government through the Australia Council, its arts funding and advisory body. Philanthropic partners are the Robert Salzer Foundation and the Australian Cultural Fund.